This quick and versatile soup is excellent for any occasion, summer or winter. It goes together in a snap and feeds a crowd. This is an entire meal in 30 minutes!! Let the spices heat up for about a minute (stir) this will allow the spice flavors to wake up. 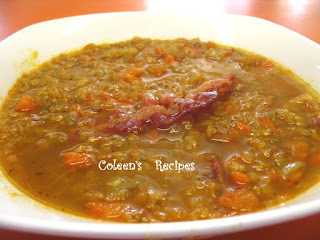 Bring to a boil, then turn down and simmer slowly for about 20 minutes and IT IS READY TO EAT!! 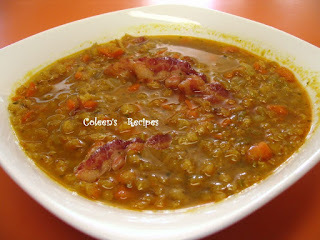 NOTE: You can use any color lentils in this soup, but each kind cooks at a different rate, so keep that in mind. 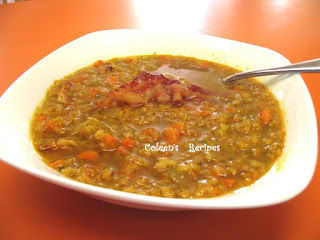 NOTE: I like to add a little bacon to this soup if I have some already fried up, but that is totally optional. NOTE: I like to freeze this soup in individual containers for a quick and satisfying lunch.